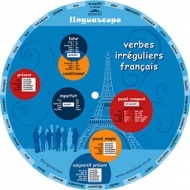 Petit Guide: Un or Une? The concept of French nouns having a gender is often tricky for English speakers to understand and there is a common belief that the gender of each noun must be learned, as there aren’t rules that you can follow. 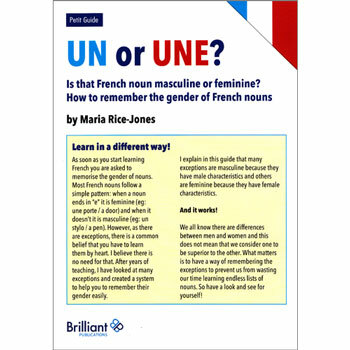 After years of teaching and analysing the French language, the author of this guide has developed a system to make learning the gender of French nouns easy. She shows that most French words follow a simple pattern: when a noun ends in ‘e’ it is feminine (eg, une porte / a door) and when it doesn’t it is masculine (eg, un stylo / a pen). 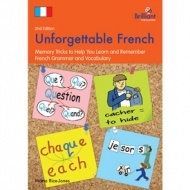 There are of course exceptions, and this guide provides clever memory tricks to help you remember them. Petit Guide: Un or Une? 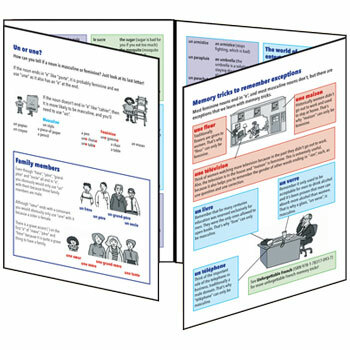 is made from laminated card so it will stand on a desk but is small and robust enough to fit into a bag and can be referred to anytime, anywhere.